Best location: Lies at the same time just a few steps from the city center, next to the sea, and yet it is very quiet. Apartments: spacious, airy, with lively colours. 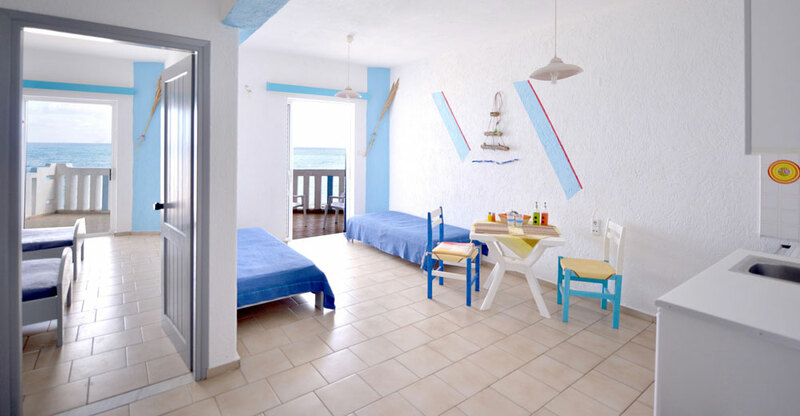 Each one has a balcony with stunning sea-view, from where you can hear the sound of the waves.